My progression since my last post is shown in the gallery below. I’ve included how I mount my paper for watercolor painting. Click on the images to enlarge. This old donkey wasn’t alone. 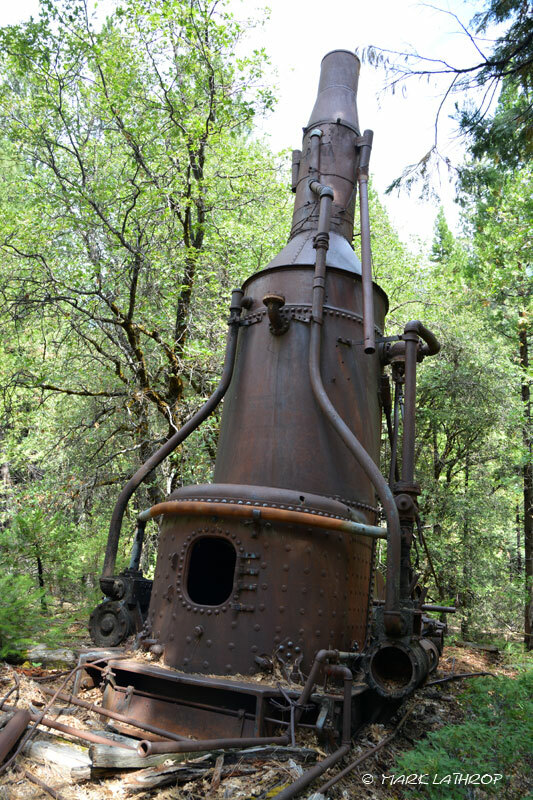 Very nearby was a second steam donkey. It was another Willamette. These two machines worked together on the same logging site. 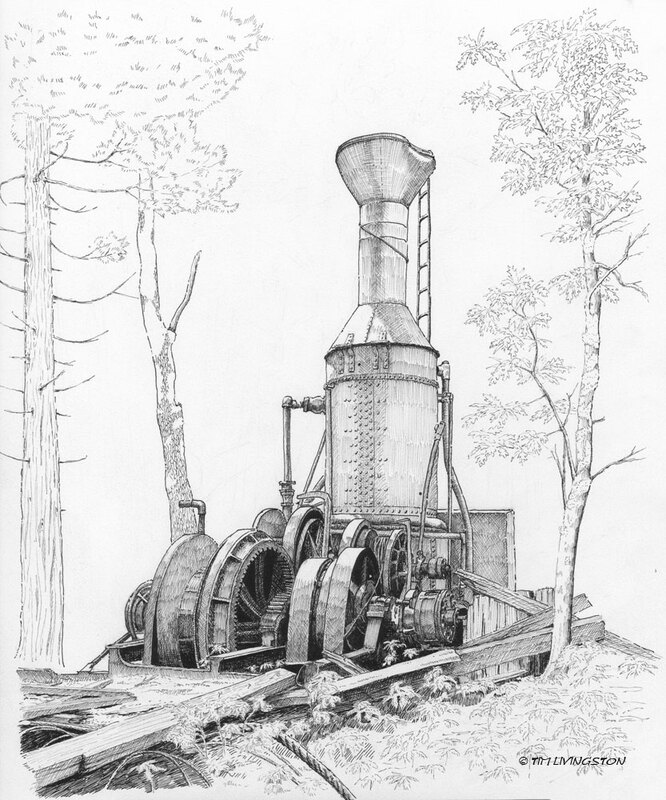 The second steam donkey. It’s had parts removed by collectors. Really great work Tim. Love the subject – can you imagine logging in the “old” days?